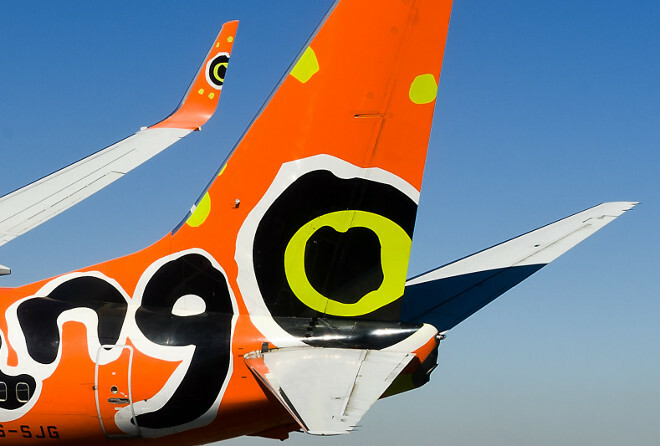 Mango, Skywise, FlySafair & Kulula are the kings of low cost. Share your thoughts on which is better by emailing cheapflights@southafrica.to and we'll give you travel vouchers. Ask for Help - our travel agents are itching to show you the best flight deal! 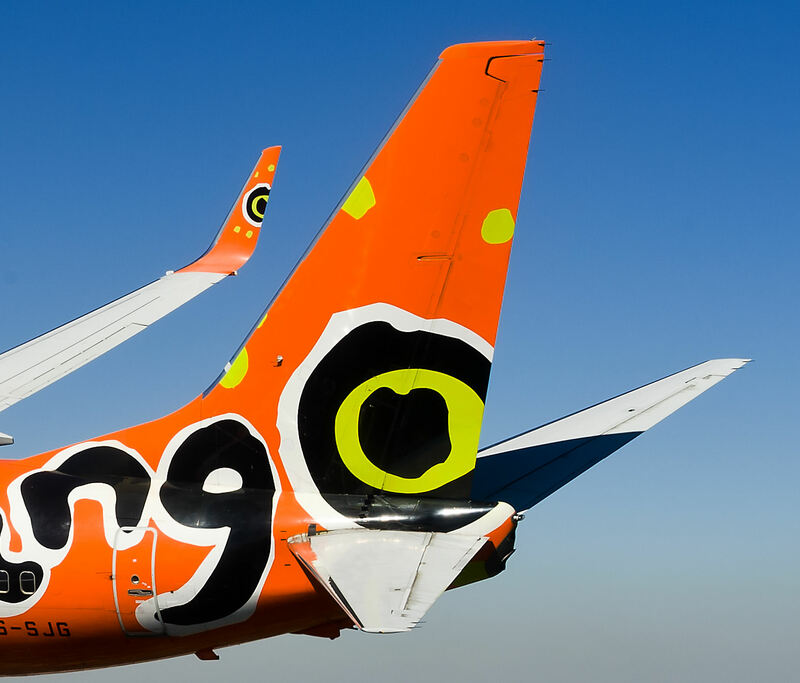 If you're like most folk you are looking to book cheap flights, and therefore have your focus on the 4 low-cost carriers operating in South Africa, FlySafair, Kulula, Skywise and Mango Airlines. Skywise and FlySafair have only recently entered the market and they sure are going to shake things up. Last time when we did this survey we were hoping that we had more airlines to compare with and we had our wish granted with FlySafair Skywise entering the market in the last 7 months. A lot of these ratings are subjective, and we'd love to hear from you where we've got it wrong, and which other categories you'd like to add - email jimmy@southafrica.to or leave a comment at the bottom of the page. Credit Card / Pay later potion. After making the booking you will get a reference number. You can pay via EFT within 24 hours of making the booking. Can earn Kulula Moolah with the Kulula Credit Card, and can use Nedbank Greenbacks to convert into Mango vouchers. A rule of thumb is that if you're spending less than R31,000 (ie most people) a month on your card, you're better off with the Kulula credit card. Skywise has been arriving early or on-time for the majority of the flights that we checked. But there is not enough data available yet to compare them to Kulula, Flysafair and Mango. We are happy to say that we have mainly experienced short check-in queues with Kulula, Skywise, FlySafair and Mango, with the odd incidence of longer queues. This one is too close to call. Kulula used to clearly have the most leg space on their planes. However, Mango Airlines placed new seats in their planes in the second half of 2013 with more legroom. FlySafair and Skywise have about the same space as Kulula. Mango Airlines, FlySafair and Kulula Airlines allow you to choose your seats online 24 hours before your flight. Skywise does not give you that option. Flew Kulula from Johannesburg to Cape Town and one of my suitcases got lost. Complex baggage rules. No instance of baggage loss as of yet. If your paying for your bags to be checked then they should be looked after! We have had instances of baggage loss as of yet. Never had baggage lost through Mango Airline. Check-in staff take care that luggage doesn't lose its labels. Kulula's menu is in their in-flight magazine. No smoothies or veggie burgers (but they do have veggie sarmies). FlySafair's menu is in the in-flight magazine, its easy to find but the selection is very limited. Skywise's menu is in their in-flight magazine (page 79). The airline offers free tea and coffee to all passengers. Mango's menu is in their in-flight magazine, and requires some looking around to find. FlySafair does provide a kiddies pack, we have not seen it but they do provide kids with one. Have to pay for the kiddies pack. Has Jungle Beat graphics, and becomes a cooler bag lunch box for school after use on board. On 30 March 2014 the cost was R80. Kulula have shown consideration to us when travelling with babies, in the form of making sure we sit together, and if there is free space putting us on a 3 seater with the seat in the middle for the little one. Kulula offered our toddler a fizzer at check-in, and then delighted us by doing face-painting on-board a flight for children. Haven't flown on FlySafair with a baby yet. Haven't flown on Skywise with a baby yet. Haven't flown with a baby yet. Mango Airlines have also shown care in placing us together. Khuluma's guest editors are comedians, making for hilarious reading. Encourage you to take the magazine if you like it. Can be read online. FlySafair's in-flight magazine is more of a travel magazine than a airline mag. Very good travel articles and not much advertising. Skywise's magazine is available online. There is a mixture between humorous content, opinion pieces, photo essays and in-depth articles. Live and sometimes packed with Kulula humour. A major differentiator. Always live, planes are not fitted with monitors. Always live. There are no monitors on the plane. FlySafair do sell travel insurance with ACE. Skywise sells travel insurance through Hepstar. Mango and AIG offer travel insurance. Kulula and Mango airlines are being copycats & using Boeing 737-800s, which use 26% less fuel than the MD82s, saving a lot in terms of carbon emissions. The planes carry 186 people. 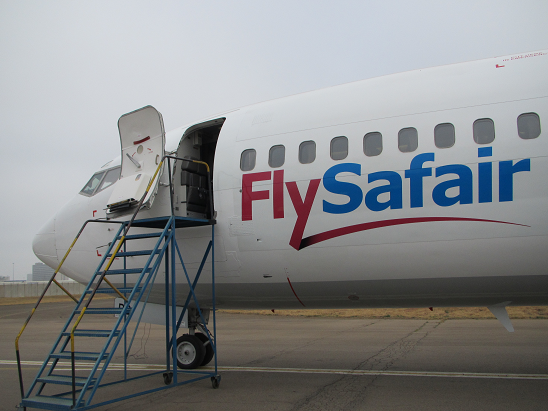 FlySafair uses Boeing 737-400s which are older and less fuel efficient than the 800s. 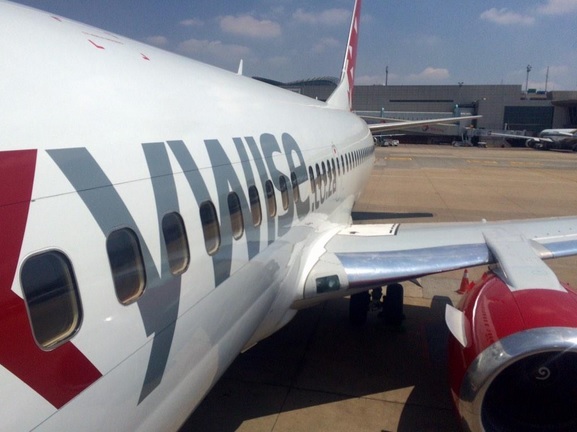 Skywise uses a Boeing 737 - 300 and two Airbus a320's. There aircraft are less fuel efficient than Kulula and Mango's. All airlines allowed front and back boarding of their planes, allowing them to fill up quickly. About the same level of noise, but not as loud as it used to be sitting at the back of 1time airline flights! 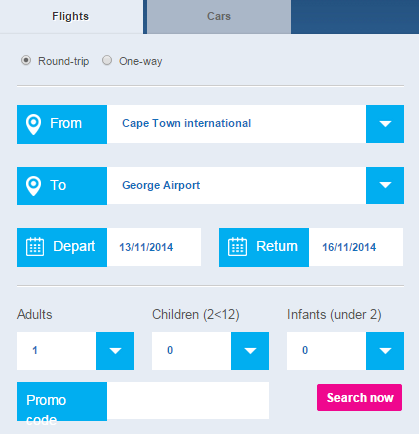 FlySafair allows customers to amend their ticket at a small fee up to 4 hours before departure. Skywise gives customers three options when buying tickets, Go far (no change, Flexi fare (can change) and wise fare (1 free change). Mango offers Mango Flex and Mango Plus tickets which are flexible to change. Two days before a flight from Cape Town to Durban, Kulula emailed me to cancel my flight and change it to a new time (no compensation offered). FlySafair has cancelled flights after the aircraft experienced technical difficulties. Skywise has not cancelled a flight as of yet. Mango has never cancelled a flight I have booked. Tested on Thursday, the 30th of April 2015; and all four call centres were very quick to pick up. Skywise's agents were just a little more eager to help and sounded happier on the phone. Although Mango Airlines has a multitude of rider options, it has a simpler layout and passengers are not forced to fill in a rider option, like on the Kulula booking engine where you have to fill in the Discovery/eBucks/Neither option. FlySafiar's booking engine is perhaps the simplest one to use but you have to go through all of the extras before being able to book. Skywise has a simple booking engine, but the pre ticked airfare is not the cheapest airfare when you reach the section where you have to choose your flight. We think that it’s a tossup between Mango and FlySafair. We sourced feedback from travel writer, Dawn Jorgensen: Having flown both Mango and Kulula there is not much of a difference in the service provided, price of the tickets or even the routes that they are offering. Yet somehow, and it could be the colour green, the Kulula experience is a better one. Lighter, more relaxed, less stressful and just easier. Except for the polystyrene cups that I will continue to nag them about. I think it has much to do with the attitude and service of all staff, their sense of humour and the fact that they don't take themselves too seriously. Something that is appreciated in this day and age. Especially for a no frills airline. Only negative would be their policy towards musicians, where they charge extra for guitars etc. I think they should revise that in support of SA Music. Dawn has not flown on FlySafair yet.